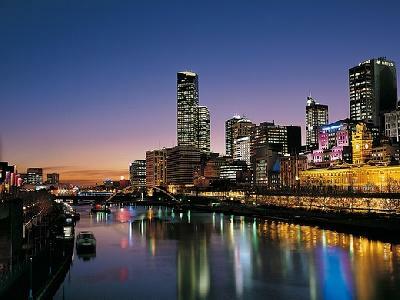 Cheap Melbourne hotels, motels and serviced apartments at affordable, budget rates. Budget stay allows you to deal directly with these Melbourne hotels and apartments and get quality accommodation at a really cheap rate. So book your online accommodation with confidence knowing that you're getting the cheapest discount rates for Melbourne accommodation. Ibis Styles Melbourne The Victoria Hotel provides both budget conscious business guests and holiday travellers with the ideal hotel accommodation right in the middle of the CBD. This historic budget hotel in Melbourne is only a short walk to the Princess Theatre, Bourke Street Shopping Mall, National Gallery, Arts Centre, Federation Square, Crown Casino, Southbank and Flinders Street Railway Station. Ibis Styles Melbourne The Victoria Hotel has public transport nearby if you are looking to get to the MCG, Etihad Stadium (Telstra Dome) or the Royal Botanic Gardens. The Kingsgate Hotel offers deluxe and budget accommodation right in the heart of the Melbourne CBD. The Kingsgate Hotel Melbourne is conveniently located close to the Melbourne Airport, Melbourne Casino, Southbank, Telstra Dome, Melbourne Aquarium, Rialto Observation Deck, Spencer Street Railway Station, the beautiful Yarra River and is only a 2 minutes walk to an abundance of shops and restaurants. Cheap but charming budget hotel accommodation, close to everything that Melbourne has to offer. The Pensione Hotel Melbourne is a great value for money boutique accommodation situated in the Melbourne CBD. This budget Melbourne hotel is just a short walk to the Melbourne Exhibition Centre, Crown Casino, Southbank, Telstra Dome, Melbourne Aquarium, Southern Cross Railway Station and the delightful restaurants in the new Docklands waterfront precinct. The Pensione Boutique Hotel provides both business and holiday travellers with discount hotel accommodation close to all that Melbourne has to offer without breaking the budget. The Econo Lodge City Square 3.5 star offers budget hotel & apartments accommodation on Swanston St Walk in the heart of the Melbourne CBD.Ideal for leisure guests and business corporate travellers alike, The Econo Lodge City Square Hotel & Apartments offers clean, secure and comfortable at an affordable price surrounded by a myriad of shops, theatres, restaurants and cafes. The Econo Lodge City Square is well located in Melbourne CBD, meaning that it is close to everything that the city has to offer. As well as this the property also has numerous guests facilities and services including guest laundry and lift. Offering a variety of quality accommodation located in Melbourne's eastern Suburbs the Tudor Box Hill is a perfect choice for guests visiting Melbourne either for business or leisure. With easy access to all of the major tourist attractions in the Melbourne region this Box Hill accommodation is the ideal place for your next budget stay. It also features numerous guest services and facilities including lounge bar, business centre, conference centre, currency exchange services, direct internet access, disabled facilities, faxing facilities, free car parking, guest laundry, gymnasium, restaurant, room service, sauna, secretarial services, spa, outdoor swimming pool, tour desk, bbq facilities, garden, security access, 24 hour reception, baby cots available for families, babysitting service and daily housekeeping. Conveniently situated just a short distance from the Best Western Plus The Tudor Box Hill are lots of popular destinations, as well as interesting things to see such as the Yarra Valley vineyards, Healesville sanctuary, shops and restaurants in Doncaster East and also Glen Waverley. The Magnolia Court Hotel in East Melbourne offers elegant yet affordable hotel accommodation in the quiet and charming streets of East Melbourne. Magnolia Court Hotel is situated close to Melbourne's major sporting and tourist attractions including the MCG, Federation Square, Southbank, shopping on Bridge Road in Richmond, Telstra Dome, Crown Casino, Melbourne Park Tennis Centre, Fitzroy Gardens and of course Melbourne's CBD. For quality accommodation in a central East Melbourne location stay at Magnolia Court Hotel. This cheap Melbourne hotel / motel offers three and half star deluxe accommodation in St Kilda, Melbourne. The Crest on Barkly is conveniently located close to melbourne's city centre, Southbank, Crown Casino, Victorian Arts Centre, Luna Park, Toorak Rd, Chapel Street and the famous restaurant strip of Fitzroy Street, St Kilda. The Melbourne Grand Prix circuit, Albert Park Lake and Golf Course are also at your doorstep. Accommodation in this delightful, cheap Melbourne hotel comprises sauna, cocktail bar, undercover car parking, off street coach parking, a-la-carte dining room, function and conference rooms. Spacious and beautifully appointed hotel rooms, at a budget price, will ensure that you have a very pleasant stay in Melbourne. The Hotel Claremont South Yarra is a tastefully restored 1886 Victorian Guest House, offering discount Melbourne hotel accommodation for the budget conscious traveller. Our hotel is located in the heart of South Yarra, Melbourne's style and fashion capital, and is only 100m from the famous Chapel Street. The Hotel Claremont is surrounded by cafe's, restaurants, shops, antiques, cinemas, galleries, pubs and night clubs, all of which are within easy walking distance. The South Yarra train station and Melbourne's world famous trams are also right on our hotel's doorstep. This provides you with easy access to the Melbourne CBD, Melbourne Park tennis centre, the MCG, Crown Casino and the Southbank precinct. Hotel Claremont's fabulous location and cheap prices makes it the perfect for those people looking for budget Melbourne accommodation. Located in the heart of the Melbourne CBD the City Garden Hotel is a charming 6 storey heritage building which has been extensively renovated and converted to a quality boutique hotel comprising of a range of budget hotel rooms, studio apartments and family sized two bedroom apartments. Staying at the City Garden Hotel in Melbourne allows you to make the most of the many guest facilities at this affordable property, including the direct internet access, disabled facilities, guest laundry, lift, tour desk, 24 hour reception and baby cots for hire. Situated 2 minutes away from the Melbourne Airport, Ciloms Hotel Melbourne offers comfort and convenience in addition to amazingly cheap hotel rates. From our beautifully appointed suites to our standard budget double rooms, our dedicated staff will ensure you have a pleasant stay. Ciloms hotel offers an 24 hour reception, room service, conference facilities and a 24 hour courtesy bus to and from the Melbourne Airport. Relax in our indoor swimming pool, spa, sauna, gym and bar / bistro. Choose Ciloms hotel for the best budget accommodation near Melbourne Airport. The Parkdale Motor Inn provides a variety of budget hotel accommodation in Mentone, catering for all budgets and guest requirements. Ideal for a weekend golfing trip or romatic getaway, the Parkdale Motor Inn is ideally located close to 11 gold courses, the Nepean Highway, Westfield Southland Shopping Centre and the delightful Mentone beach. Combining a range of resort style accommodation, friendly service and a great Melbourne location the Parkdale Motor Inn is the perfect place to stay for a business trip or holiday. This budget property also has lots of great facilities including conference centre, direct internet access, faxing facilities, free car parking, guest laundry, airport shuttle, baby cots available for families and daily housekeeping. With a central location in the Melbourne city business and holiday travellers who choose to stay at the Parkdale Motor Inn will find themselves only this far from the Southland Shopping Centre, Cheltenham golf club, Huntingdale golf club, Keysborough golf club, Kingston Heath golf club, Dingley, Black Rock, Sandringham yatch club and the commercial district of Moorabbin. The Prince Mark Motor Inn in Dandenong is an institution in the ever growing Dandenong area offering quality budget acccommodation. This Doveton motel offers 25 beautifully appointed guest accommodation rooms featuring new decor and modern fittings. Ideally situated in a great city location the The Prince Mark Motor Inn is within easy reach of all the major attractions that Melbourne has to offer. This along with the many guest facilities like direct internet access, free car parking, guest laundry, 24 hour reception, baby cots available for families and daily housekeeping is what makes the The Prince Mark Motor Inn such a great place for a relaxing stay. The Prince Mark Motor Inn is a popular place to stay in Dandenong because of its wide range of hotel facilities, central location and friendly customer service. Travellers who choice to stay in this budget Melbourne hotel will find themselves within close proximity of everything that the city has to offer including the Sandown racecourse in Noble Park. The Airport Motel Melbourne offers cheap, affordable 4 star accommodation just minutes away from the Melbourne Tullamarine Airport. The Airport motel also offers a 24- hour airport transfer service, a heated swimming pool and spa, disabled access, family and children facilities and short and long term off street car parking. Choose from budget hotel rooms, luxurious double spa suites, executive suites, serviced apartments and honeymoon suites, each equipped with individual air conditioning and heating, queen-sized beds and a colour television. Cheap hotel accommodation near Melbourne Airport at budget rates. Cheap budget hotel accommodation, perfectly located in the Melbourne CBD and only minutes away from the Telstra Dome, MCG, Melbourne Park Tennis Centre, Royal Botanical Gardens, Southbank, Crown Casino and all the wonderful attractions of the Melbourne City Centre. The Melbourne Airport is only a short drive away and tour buses both pick up and drop off to the Flagstaff Hotel / Motel. Our cheap Melbourne hotel offers affordable budget accommodation from single hotel rooms to 2 room suites, with most rooms opening onto our beautiful courtyard - a rare luxury in Melbourne's CBD. The City Park Hotel in South Melbourne provides cheap hotel rooms just moments from the Melbourne CBD. Ideally located for the corporate traveller or leisure guest, the City Park Hotel is literally minutes away from the Melbourne CBD, shopping restaurants and nightlife as well as Melbourne attractions including the Crown Casino complex, Botanical Gardens, the Arts Centre, the F1 Grand Prix Track, Federation Square, Rialto Towers Observation Deck, Queen Victoria Market, Southbank, Bourke Street Mall and the MCG. If you are looking for value for money hotel accommodation in South Melbourne then the City Park Hotel is the ideal place for you. This budget hotel features a variety of rooms that are designed for maximum comfort, as well as great amenities like lounge bar, business centre, conference centre, direct internet access, disabled facilities, faxing facilities, free car parking, guest laundry, lift, restaurant, room service, tour desk, 24 hour reception and baby cots available for families. The Quality Hotel Melbourne Airport is situated only minutes from the Melbourne Airport and also close to the aiport in Essendon. We offer a FREE Courtesy Bus 24 hours a day to transport you between our hotel and the Melbourne Airport terminal. The Quality Hotel Melbourne Airport is also located close to local shops, restaurants and cafes, and is only 15 minutes away from the Melbourne CBD via the Melbourne Tullamarine Freeway. Our hotel / motel offers cheap hotel accommodation within easy reach of Melbourne Airport. The very afforable motel accommodation provides by the BreakFree Bell City Motel is perfectly positioned close to both the Melbourne International Airport and the Melbourne city centre. The BreakFree Bell City Motel is as the name suggests a great economical place to stay for business and holiday travellers and the range of hotel facilities that are available include a swimming pool, restaurant, bar, cafe, fully equipped gymnasium, sauna, BBQ area, recreational/games rooms, basketball & volley ball court and even a complimentary shuttle service, travelling to the nearby tertiary institutions, local shopping centres and Mercy & Austin hospitals. For cheap hotel/motel accommodation in Preston, Melbourne look no further than the BreakFree Bell City Motel Melbourne. The Arrow on Swanston offers comfortable, convenient and budget Melbourne CBD serviced apartments ranging from studio, one and two-bedroom apartments to fit the single traveler, couple or entire family. The Arrow on Swanston is perfectly situated in the heart of Melbourne, surrounded by entertainment, tourist attractions and sporting venues. There are even tram stops just outside these budget Melbourne apartments giving you easy access to anywhere in and around the city. The self-contained Arrow serviced apartments are fully furnished and feature all of the modern amenities required to suit your every needs. The City Edge North Melbourne Apartments are ideally located in Peel Street, which is only 1km from the city centre and withing walking distance to the Queen Victoria Market, Melbourne Central shopping centre, train station, RMIT, Melbourne University, Docklands waterfront precinct, Etihad Stadium and Lygon Street restaurants. Also just a short tram ride from Cityedge North Melbourne will get you to Southbank, Crown Casino, Royal Children's Hospital, Royal Women's Hospital, Flemington and Moonee Valley racecourses, Melbourne Zoo and the State Hockey & Netball Centre. With fully self contained double and twin studio apartments these budget North Melbourne apartments are ideal for both business and holiday travellers. Located just 1.5 kilometres from the city centre of Melbourne, the Adara East Melbourne studio apartments and one bedroom apartments at affordable prices. Complimentary on site car parking is available to guests, and the apartments are within easy walking distance of the MCG, Fitzroy Gardens, Bridge Road discount shopping and public transport. No matter the reson for you travel, business or leisure, the Adara East Melbourne provides discount accommodation in a great East Melbourne location. It also features a wide range of modern services such as business centre, direct internet access, faxing facilities, free car parking, guest laundry, lift, restaurant, room service, secretarial services, tour desk, airport shuttle and daily housekeeping. Anston Apartments offer value for money and is located just on the outskirts of Melbourne CBD. Just a stroll away form the famous Italian street Lygon Street as well as other attraction such as the Queen Victorian Market, Lincoln Park as well as China Town. Staying at the Plum Carlton Serviced Apartments in Melbourne allows you to make the most of the many guest facilities at this affordable property, including the andift. Redan Apartments, Melbourne (formerly Quest on Redan), offer 3 star budget serviced studio apartments ideally located in a quiet tree lined street in East St Kilda, just 4kms from the Melbourne CBD, within easy reach of the many business, sporting and cultural venues that make Melbourne. Staying at the Redan Apartments in Melbourne allows you to make the most of the many guest facilities at this affordable property, including the direct internet access, free car parking, guest laundry, tour desk, airport shuttle, baby cots for hire and daily housekeeping. Award for Excellence from AAA Tourism award for 2004 and again 2005. We are also awarded for 2007 finalist for Excellency in Sustainability and for Best Back of the House. Very popular apartment and townhouse accomodation. No matter the reson for you travel, business or leisure, the Birches Serviced Apartments provides discount accommodation in a great East Melbourne location. It also features a wide range of modern services such as direct internet access, faxing facilities, guest laundry, pets allowed, tour desk, BBQ facilities, security, baby cots for hire and daily housekeeping. Aston Apartments Melbourne offers budget apartments accommodation in South Yarra and 4 star discount apartments accommodation in St Kilda. The Apartments are located 3.5km from Melbourne's CBD and are perfectly located close to trendy restaurants, nightclubs, bistros, bars and boutiques. They are also only minutes away from all public transport. Cheap apartment accommodation rates are offered for long term stays. City Edge Serviced Apartments are located in the quiet and leafy surrounds of beautiful East Melbourne. Our quality budget apartments offer all of the creature comforts of home, including direct broadband internet access. City Edge Hotel Serviced Apartments Melbourne are ideal for business and leisure tourists, and are situated within easy walking distance of the MCG, Melbourne Park Tennis Centre, Melbourne CBD, public transport and the Freemason's, Mercy and St Vincent's Hospitals. Darling Towers Serviced Apartments are the leading supplier of short and long term apartment accommodation in Melbourne. Choose from affordable 1, 2 or 3 bedroom apartments and townhouses in cosmopolitan South Yarra. All of our serviced apartments are located close to Melbourne's major sporting and tourist attractions, including the MCG, Telstra Dome, Crown Casino, Melbourne Park Tennis Centre, Botanical Gardens and the beautiful Yarra River. For the best budget accommodation for business and leisure travelers, book online at Darling Towers for special discount internet rates. Discount 1,2 bedroom apartments and townhouses located on the fringe of the city in stylish, South Yarra. The famous Chapel St and Toorak Rd with their myriad of sidewalk cafes, restaurants, shopping, bars and clubs are at your doorstep. Easily accessible from South Yarra are all of Melbourne's famous attractions - MCG, Melbourne Park (Tennis Centre), Sidney Myer Music Bowl, Federation Square, Shrine of Remembrance and the Royal Botanic Gardens. Book now for affordable budget rates on elegant, well-equipped apartments. For other serviced apartment accommodation with Punt Hill check out our other locations at Flinders Lane, Manhattan, Little Bourke St, Burwood and St Kilda. The City Limits Apartments are located in the city on Little Bourke Street and is a boutique property of studio Melbourne CBD apartments that are fully furnished and equipped with all the modern facilities, features and appliances to ensure a comfortable stay. The budget City Limits Apartment Hotel is ideally positioned in the central business district right in the centre of China Town, providing discount city living for both corporate and leisure guests. Being conveniently located in the Paris end of Melbourne offers easy access to Melbourne's night life theatres, restaurants, Chinatown, Crown Casino and is also close to the free city trams and trains. Amazingly cheap accommodation rates for comfortable studio, 1 and 2 bedroom apartments in North Melbourne. Located just 2 km from the Melbourne city centre, you are only a short distance away from Melbourne's CBD and all of its wonderful tourist attractions. Melbourne's famous Lygon Street restaurants, Queen Victoria Market, Royal Children's Hospital, Royal Women Hospital and Melbourne University are all within easy walking distance. Moonee Valley and Flemington Racecourses, the Melbourne Zoo and Optus Oval are also only a short tram ride away. Book your North Melbourne apartment accommodation online and get cheap discounted rates. For budget Melbourne CBD apartment accommodation you can't go past BreakFree Serviced Apartments in Collins Street Melbourne. We offer very affordable studio, 1 and 2 bedroom apartments right in the heart of Melbourne's CBD. Consequently our serviced apartments are close all of Melbourne's major attractions, including the MCG, Telstra Dome, Southbank, Crown Casino, Melbourne Park Tennis Centre, Federation Square, the Botanical Gardens and the lovely Yarra River. For cheap accommodation in the middle of the city centre book online at BreakFree on Collins for special discount rates. Armadale Serviced Apartments in Prahran is located close to Chapel Street with its vibrant atmosphere, fashion boutiques, shops, restaurants, nightlife and numerous sidewalk cafes. When you stay in our affordable, discount apartments you will also enjoy excellent access to the Melbourne CBD and the St Kilda Road business district via Melbourne's famous and historic trams. Indulge in the trendy restaurants and antique shops on High Street Armadale, just one kilometre away. Also cosmopolitan South Yarra, Fitzroy Street, St Kilda and St Kilda Beach are also easily accessible from Armadale's great, value for money accommodation apartments. Book your budget acccommodation online now and get cheap, discount rates for one and two bedroom apartments. Easystay Serviced Apartments Melbourne have 6 great locations in the bayside area of St.Kilda, just 10 minutes from the city centre. Choose from our premium 1 bedroom St Kilda apartments at abode, budget family apartments, cheap express apartments or the affordable Easystay Bayside Motel. All of these accommodation options are located in the heart of St Kilda, close to the shops and restaurants on Fitzroy and Acland Streets. Easystay's cheap accommodation rates put more dollars in your pocket so that you can enjoy your Melbourne holiday more or commute easily to the more expensive, nearby suburb of Brighton. Other hotels that are not budget properties, but offer more luxurious Melbourne accommodation are the Clarion Hotel on Canterbury and the Hotel Charsfield.